Good measure: Clinicians give similar ratings for autism severity across diagnostic instruments. A rating of high severity of autism from the DSM-5, the latest version of the “Diagnostic and Statistical Manual of Mental Disorders,” tracks with low intelligence scores, a new analysis suggests1. The study is the first to assess how clinicians use the DSM-5 severity ratings. Clinicians often consider children with low intelligence quotients (IQs) to be severely affected, and the new findings support that practice. 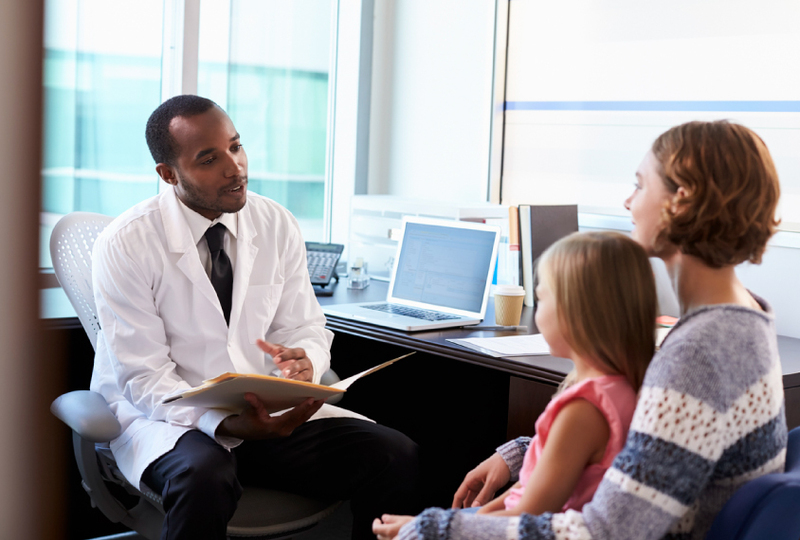 It also validates the manual: The ratings agree broadly with those from the Autism Diagnostic Observation Schedule (ADOS), the gold-standard diagnostic test for the condition. “I’ve heard clinicians talking about how they’re not sure how to complete [the DSM-5 ratings], because they’re so new,” says lead investigator Micah Mazurek, a clinical psychologist and associate professor of education at the University of Virginia in Charlottesville. The findings are reassuring, she says, because they suggest the ratings are accurate. Mazurek and her colleagues compared ratings on the DSM-5 and the ADOS. The DSM-5 includes two severity scales based on the level of support a person needs — one for social and communication issues, the other for restricted and repetitive behaviors. Similarly, the ADOS assesses overall severity as well as the degree of social problems and repetitive behaviors, but doesn’t take support levels into account. The ADOS is the best benchmark for comparison, because it’s the test that comes closest to assessing severity, says Amy Esler, assistant professor of pediatrics at the University of Minnesota in Minneapolis. Esler was not involved in the study. The fact that the DSM-5 severity levels line up with those on the ADOS is encouraging, Esler says. Mazurek and her colleagues looked at 203 boys and 45 girls, aged 2 to 17 years, enrolled in a larger study of DSM-5 criteria2. The children all have an autism diagnosis. Clinicians at one of six academic centers in the Autism Treatment Network assessed autism severity using the ADOS. They also gave the children an IQ test. In addition, they used the DSM-5 to rate the children’s social communication problems and restricted or repetitive behaviors. Roughly 25 percent of the children received the lowest severity ranking on both DSM-5 dimensions, and about 15 percent received the highest. Children with a high severity rating on either dimension were more likely than others to also receive high severity scores for those aspects on the ADOS. The findings appeared 1 February in Autism. The results have clinical significance because many clinicians find the DSM-5 guidelines vague, Mazurek says. For example, it’s not clear whether they should take intelligence into account when rating severity. The observation that low IQ tracks with high severity may mean that clinicians are doing so. Whether that’s appropriate is unclear. “I think we still need to do further research to understand that correlation,” Mazurek says. The lack of clarity in the DSM-5 severity guidelines may reflect a gap in knowledge about autism. “I don’t think there is a consensus on what ‘average’ autism is, so it makes it really hard, then, to have a consistent metric,” Esler says. Other behavioral features, such as irritability or hyperactivity, do not correlate with severity, supporting the validity of the DSM-5 rankings. “The ratings are associated in ways we would expect with autism symptoms, but not with other kinds of behavioral problems,” Mazurek says. It’s important to use other tools besides the DSM-5 ratings to assess a person’s ability to function in daily life, says Catherine Lord, director of the Center for Autism and the Developing Brain at New York-Presbyterian Hospital. For instance, the Vineland Adaptive Behavior Scales assesses both social and basic life skills. Another scale, the Achenbach System of Empirically Based Assessment, covers adaptive functioning and academic ability, among other skills. “For children, really the issues are, you know, what does this kid need to learn, and where should they be?” Lord says. To further evaluate the accuracy of DSM-5 severity ratings, Mazurek says, researchers should determine whether they are similar across different clinics and whether they track with other measures of daily functioning.